This utility will start the MS Windows "Special Character" program. 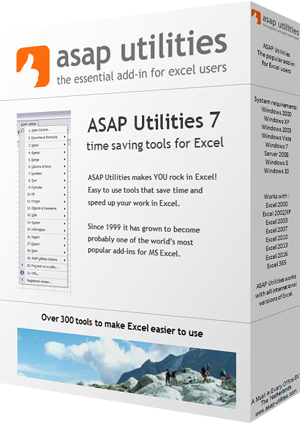 We have added this to ASAP Utilities so that you can easily select special characters from Excel. Remember that if you use special characters from another font than used in your cell, then you have to adjust the font in your cell too. « Return to the list of “Start” tools.